The City Clerk’s chief functions are acting as Clerk to Maysville Board of Commissioners and serving as Records Custodian for the City, which includes organizing meetings and agendas, taking meeting minutes and maintaining the records of the board, including the meeting minutes, ordinances, resolutions, municipal orders, and correspondence. Anyone wishing to be added to the City Commission agenda should contact the city clerk at 606-564-2718 or lrdunbar@maysvilleky.net. The City Clerk is also the Alcoholic Beverage Control Administrator for the City of Maysville. She assists business owners with application for state licenses and determines approval as well as collection of alcoholic beverage fees, and issuance/denial of City of Maysville alcoholic beverage licenses. In addition, the city clerk responds to open records requests, collects franchise taxes, schedules shelters at Maysville-Mason County Recreation Park, issues Senior Citizen Bus Passes, and provides Notary Public services. 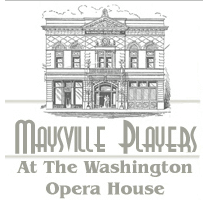 The City Clerk also serves as staff liaison to the Maysville Commission on Human Rights, Ethics Commission, and Maysville-Mason County Arts Commission as well as assisting the comptroller in processing occupational taxes and gross receipts license fees. Lisa R. Dunbar holds certifications through the International Institute of Municipal Clerks and the Kentucky Municipal Clerks Association. She was designated as a Kentucky Master Municipal Clerk by KMCA in 2017. She holds a B.A. in English and an M.S. in Writing from Illinois State University. She has worked for the City of Maysville since 2005, and became City Clerk in 2006. Prior to working for the City, she held the position of reporter and then copy editor at the Ledger Independent. She is on the organization committee for Pickers & Grinners Open-Air Markets and the interpersonal violence prevention program Green Dot Maysville. She is a founding member and has served on the board of the Humane Society of Buffalo Trace. She is also is a past board member of the regional Champions for a Drug Free Kentucky.